Coburn Technologies, Inc. announced the appointment of Marina Vaynberger as their new International Regional Sales Manager for the Russia, Eastern Europe, Middle East and Africa regions. Vaynberger has more than forty years of experience in the optical industry with a specific focus in international sales. 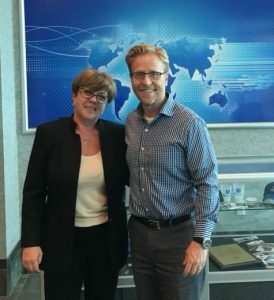 Prior to joining Coburn, Vaynberger worked for DAC Technologies, where she was the International Sales Manager, and Rozin Optical Export Corp, where she was the Sales and Company Manager. Vaynberger will be representing Coburn at the upcoming SILMO Conference in Paris, September 28-30, 2018. For more information or to schedule an appointment, please call 1-800-COBURN1.